When the merged Erie Lackawanna cut back major portions of the former Delaware, Lackawanna & Western, it retained the stub from Mount Morris to Groveland, New York in order to preserve a connection with the little (nine miles) Dansville & Mt. Morris, which ran from an interchange with the former Lackawanna at Groveland to Dansville, home of a large manufacturer of marine boilers. 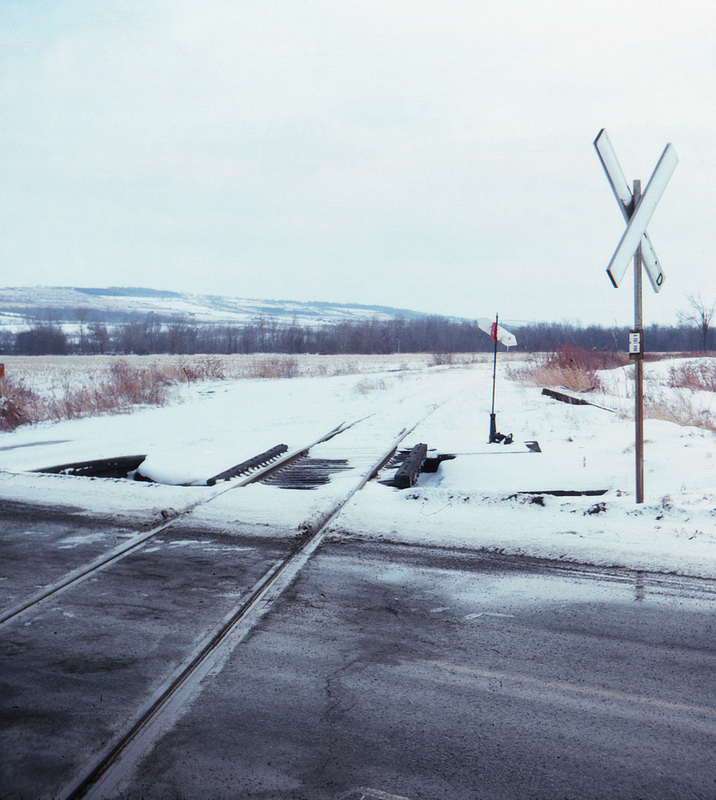 Here, at the Flats Road (New York State Route 258) grade crossing facing south, the railroad seems abandoned following the Blizzard of '77 but will resume activity as soon as weather permits. This page posted 9/1/2018; revised 1/1/2019. Text and photo ©2018 Lamont Downs.